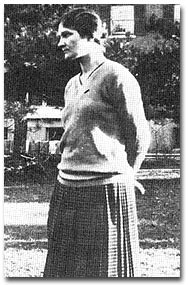 Cecilia Payne-Gaposchkin. Portrait by Patricia Watwood, Courtesy of the Harvard Portrait Collection. I first arrived at Harvard College Observatory just over fifty years ago. 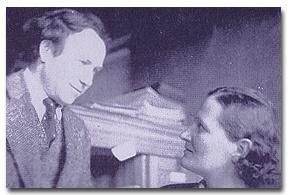 I was a very green undergraduate, a summer assistant for Dr. Shapley—that’s how the entire staff referred to him—and I had an office across from his in Building D. Mrs. G.—that’s what everyone called Cecilia Payne-Gaposchkin—seemed a formidable, rather remote presence, “of imposing stature and stormy personality” as Jesse Greenstein characterized her.1 I can’t remember where she sat, but Sergei—that’s how we all referred to her feisty husband—had his office on the stairs up to the 15″ telescope, and the graduate students assumed that their two offices were widely separated to keep the stormy personalities from asserting themselves too conspicuously. Those initial impressions seem curiously at odds with my later memories, for though Mrs. G. was always formidable in both intellect and stature, she soon struck me as gentle and kind. Our paths came together in my first semester in graduate school, when I enrolled in her “Introduction to Observational Astrophysics.” She taught the course in Byerly Hall in the Radcliffe Yard, where all the astronomy classes open to undergraduates then met. This is where I really learned what “chain smoking” was. A pack of cigarettes and a single match could get her through the entire period. Basically hers was a course about stellar spectroscopy. Her teaching fellows were kept very busy producing packs of photographic spectra for us—of Eta Carina, T Corona Borealis, Zeta Puppis, and Nova Herculis, of sunspots and the Lick moving spectra of the flash spectrum, from anywhere that suitable examples could be found. She produced for us extensive lists of lines, and she taught us how to use Charlotte Moore’s multiplet tables. She carefully marched us through one fascinating spectrum after another. The individual stars were her friends, and so were the spectral lines. She probably knew most of them by memory. 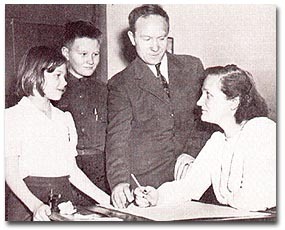 Katherine, Edward, Sergei Gaposchkin, and Cecilia Payne-Gaposchkin in her office in 1946. Courtesy of Katherine Haramundanis. For the observational astrophysics class she borrowed a spectacular plate of a Zeeman spectrum from MIT, and it fell to me to analyze it for my class project. Years later, after she had died, I wanted to publish a sample of a Zeeman spectrum, but I had forgotten not only what atom it was, but the wavelength range as well. I sought help from Charlotte Moore Sitterly and others, but in vain. Finally one of Alex Dalgarno’s colleagues in New York said, “I can’t identify the atom, but the j values of the transitions are 42-52 and so on down.” That was all I needed to identify it as vanadium, multiplet 22 in the multiplet tables, and I felt very smug about Mrs. G.’s legacy—there can’t have been very many other students in the country trained to handle such a problem. She always loved puzzles like that. Personally I don’t know of anyone who called Dr. Shapley by his first name. From time to time he would set up tables in the Phillips Library in the form of a square, and the staff would gather round as he introduced visitors or expanded on the latest astronomical gossip. He called these sessions “Hollow Squares,” but the graduate students referred to them as “Harlow Squares.” There is a legend that when Cecilia Payne and Sergei Gaposchkin eloped in 1934, Dr. Shapley announced it at a Hollow Square and that Miss Cannon fainted dead away. In any event, I knew Mrs. G. for just over 30 years, more than half the time she spent at Harvard, but I don’t recall if I ever called her by her first name. Nevertheless, in what follows I shall call her Cecilia simply to remind you that back in the 1920s she was a young graduate student in her 20s. 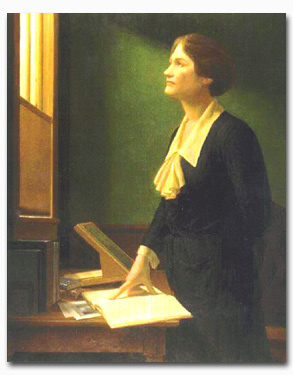 Cecilia Payne was born on May 10, 1900, in Wendover, England to a family with genealogical and intellectual connections to the intelligentsia of England. A box of letters she had inherited from her family included the autographs of Charles Darwin and the geologist Charles Lyell. Her educational trajectory took her to Newnham College in Cambridge, where she was allowed the unusual combination of botany, physics, and chemistry. Though she was soon disillusioned by botany, her love of taxonomy found a natural niche in her ultimate pursuit of astronomy, where she eventually became a relentless classifier of variable stars. I had the pleasure of seeing you at the meeting of the Royal Astronomical Society in May last, when I believe I said to you that I hoped to come and work at Harvard. I had decided some time previously that if it were possible I should wish to do research work under you. When, some months later, I consulted Professor Eddington, under whom I had been doing some work, as to what he would advise me to do if I were able to continue my studies at another University, he advised me most strongly to come to Harvard if I could. This advice coincided completely with my own wishes and ambitions. Making observations with a blink microscope. 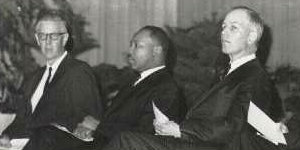 Photo Courtesy of the Harvard University Archives. When we arrived I decided that solitude and silence were the only way to see the Falls, so I slipped away . . . and went off to stand by myself at the head of the Horseshoe Falls. . . . I don’t know how long I was there, but I seemed to have been there always, when I turned around and found the only other person in the world whom I should have liked to be there, standing beside me. He also I suppose was after silence and solitude. I must say that was a good moment. . . .
1941, Lexington, MA. Katherine, Martin Schwardschild, Cecilia,Otis Scammon, Peter, Sergei, and Edward. Courtesy of Katherine Haramundanis. 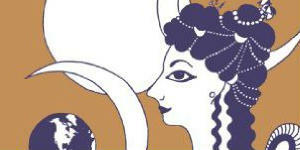 In any event, organizing the degree for Cecilia de facto created the Astronomy Department. Office of Sergei, with SG, Nov. 1936. Courtesy of Katherine Haramundanis. Please accept my hearty thanks for your letter, and for the presentation copy of Miss Payne’s admirable book. It is the best doctoral thesis I ever read—with the exception, perhaps, of one on the orbits of eclipsing binaries! [an obvious reference to Shapley’s own thesis written under Russell a decade earlier]—and ought to be strongly recommended, not only to observatory libraries, but to all students of the subject. This was, in fact, the central brilliant result of Cecilia’s thesis, so let me discontinue this review from the Harvard Archives and turn to the astrophysical background for the monograph itself and to an explanation of this major result. Throughout the nineteenth century, the temperatures of stars was seen as a central unsolved astrophysical problem. In 1923 and ‘24, when Cecilia began to work on this problem, it was indeed a hot problem in astrophysics. Her solution was so ingenious and satisfactory that it essentially turned the temperature problem into a non-problem, with the result that astronomers tended to forget the significance of this achievement and its consequences. What she did was to use the new quantum mechanical understanding of atomic structure to show how and why the spectral lines of the various elements varied with respect to spectral type, and she established that despite the varied appearance of these spectra, their differences resulted essentially from the physical conditions and not from abundance variations. This chemical homogeneity of the starry universe is the essential point of her thesis, and the conclusion that Russell immediately zeroed in on. It is this result that Otto Struve highlighted when he called her book, Stellar Atmospheres, “undoubtedly the most brilliant Ph.D. thesis ever written in astronomy.”20 It was a stunning insight into the uniformity of nature in the chemical construction of the universe. But there is more. In a short chapter entitled “The Relative Abundance of the Elements” there is a ticking time bomb. This is the extremely high abundance of hydrogen and helium that had come out under certain assumptions in the analysis. Although we know today that this high abundance is real, at the time it produced an apparent anomaly with respect to the assumed homogeneity of the solar system. After all, when the earth is taken as a whole, it must be predominately iron in order to account for its high mean density, and this is supported by the fact that meteorites are largely iron and by the appearance of the solar spectrum itself, which shows more lines of iron than any other element. The very important principle of uniformity of nature seemed at stake. As Cecilia herself argued in her thesis, “If . . . the earth originated from the surface layers of the sun, the percentage composition of the whole earth should resemble the composition of the solar (and therefore of a typical stellar) atmosphere. . . . Considering the possibility of atomic segregation both in the earth and in the star, it appears likely that the earth’s crust is representative of the stellar atmosphere.”21 So in her final table of abundances, she omitted hydrogen and helium. Brown encouraged me to join the party . . . and even offered me a cigarette, which I scandalized him by accepting. . . .
After two days I decided to begin “breezing up” as nothing seemed likely to come my way otherwise. From thenceforward I did not listen to any papers. . . . I spent my time selecting victims, oscillating from the Physical to Chemical section in quest of them, leaving astronomy to the other astronomers. In this way I saw J. Q. Stewart, to great effect; also Prof. Compton of Princeton from whom I gleaned much that was of value. The strain of introducing myself to the latter gentleman nearly finished me—but it had to be done. I also saw Smythe of Princeton—an old dancing partner of Cambridge (Eng.) days, who used to be too proud to talk shop, but who now ministered to my pride by recognizing me, and coming up on purpose to discuss one of my papers with me. . . . Here, at last, are your notes on relative abundance which you were so good to send me some time ago…. There remains one very much more serious discrepancy, namely, that for hydrogen, helium and oxygen. 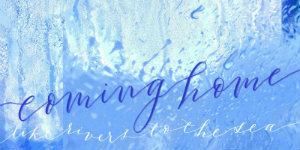 Here I am convinced that there is something seriously wrong with the present theory. It is clearly impossible that hydrogen should be a million times more abundant than the metals, and I have no doubt that the number of hydrogen atoms in the two quantum state is enormously greater than is indicated by the theory of Fowler and Milne. Compton and I sent a little note to ‘Nature’ about metastable states, which may help to explain the difficulty. . . . 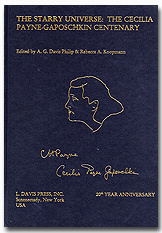 I once owned two copies of Cecilia’s monograph. The first I took to her to autograph. She simply inscribed her name, with none of the flourish that celebrities or my more flamboyant colleagues are wont to use. As a historian, I decided to keep the other copy, once owned by Otto Struve, the some-time director of Yerkes Observatory who had called her monograph “the most brilliant PhD thesis ever written in astronomy.” I gave the one Mrs. G. had inscribed so meekly to one of my own thesis students. But the modesty of her inscription always reminded me of a philosophical stance that she held and which I still believe is dead wrong. “It doesn’t really matter how you give the credit for a scientific discovery,” she said, “for if one person doesn’t discover it, someone else will.” I’ve always wondered to what extent her own experience with her thesis reinforced that opinion. In contrast, I strongly hold that individuals in history can make a difference, whether it is in the political, artistic, or scientific arena. I am sure that for many of us, Mrs. G.’s scientific work as well as her mentorship did make a unique difference. 1. Jesse L. Greenstein, “An introduction to ‘The Dyer’s Hand’,” in Katharine Haramundanis (ed. ), Cecilia Payne-Gaposchkin: An Autobiography and Other Recollections (Cambridge, 1984), p. 8. 2. Cecilia Payne Gaposchkin, The Dyer’s Hand: An Autobiography (1979), in Katharine Haramundanis (ed), op. cit., pp. 155-56. 4. Harvard University Archives, Observatory Director’s papers (Shapley), UA V 630.22 Box 7, Cecilia H. Payne to Harlow Shapley, 26 February 1923. Unless otherwise specified, the letters are from this box. 5. Ibid. (1923 letters of recommendation). 6. Payne to Shapley, 5 April 1923. 7. Shapley to Payne, 16 April 1923. 8. Payne to Shapley, 10 August 1924. 9. Payne to Margaret Harwood, Toronto, 16 August 1924. Harwood Archive, Schlesinger Library, Radcliffe Institute, Harvard University. I am indebted to David DeVorkin for pointing out these letters. 10. Payne to Harwood, 22 November 1924. Harwood Archive, Schlesinger Library, Radcliffe Institute, Harvard University. 11. A copy of two of the three parts of the Ph.D. preliminary exam is found among Shapley’s personal papers in HUG 773.10.19c. Her answers to Shapley’s part of the exam are found among the director’s papers in UAV 630.22 (1920-29) Box 7 under “Gaposchkin.” I am indebted to Robert Hall for this information. 12. Cecilia Payne-Gaposchkin, op. cit., (note 2), p. 157. 13. Theodore Lyman to Shapley, 20 September 1924 (Box 12). 14. Shapley to Lyman, 6 May 1925 (Box 12). 15. Payne to Shapley, 10 June 1925. 16. Shapley to Dr. Cecilia Payne, 6 August 1925. 17. Payne to Shapley, 20 August 1925. 18. Shapley to Payne, 15 August 1925. 19. Henry Norris Russell to Shapley, 11 August 1925. 20. Otto Struve and Velta Zebergs, Astronomy of the 20th Century (New York, 1962), p. 220. 21. 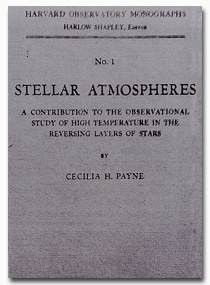 Cecilia H. Payne, Stellar Atmospheres (Harvard Observatory Monograph No. 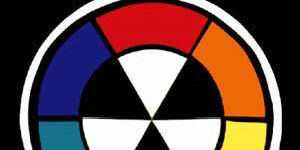 1) (Cambridge, 1925), p. 185. 22. Payne to Margaret Harwood, 9 January 1925, Schlesinger Library, Radcliffe Institute, Harvard University. 23. Russell to Payne, 14 January 1925, Henry Norris Russell Papers, Series I: Outgoing Correspondence, Box 9, Folder 37; published with permission of the Seeley G. Mudd Manuscript Library, Princeton University. 24. David DeVorkin, Henry Norris Russell, Dean of American Astronomers (Princeton, 2000), p. 366. 25. Henry Norris Russell, ApJ 70 (1929), 11-82. 26. DeVorkin, op. cit. (note 29), p. 216. 27. 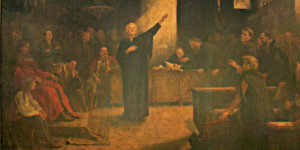 Robert d’Escourt Atkinson, ApJ 73 (1931), 292. 28. Otto Struve, ApJ 64 (1926), 204-208. 29. DeVorkin, op. cit. (note 29), p. 341. Payne, standing behind Everett House. Courtesy of Katherine Haramundanis. When Cecilia Payne was five years old, she saw a meteor and immediately decided to become an astronomer: “I was seized with panic at the thought that everything might be found out before I was old enough to begin,” wrote Payne-Gaposhkin at the end of her life. 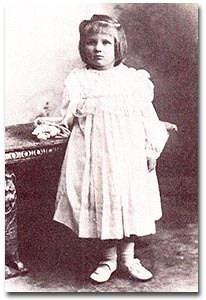 Payne-Gaposchkin’s career reflects her early and prodigious start; she published two major, enduring books on astronomy before the age of 30. Payne-Gaposchkin’s enthusiasm for science and math was not in keeping with her English upper-class girl’s education, which strongly favored literary interests. In her autobiography The Dyer’s Hand, she recalled that “When I won a coveted prize … I was asked what book I would choose to receive. It was considered proper to select Milton, or Shakespeare. . . .I said I wanted a textbook on fungi. I was deaf to all expostulation: that was what I wanted, and in the end I got it, elegantly bound in leather as befitted a literary giant. After attending the academically prestigious St. Paul’s Girls School in London, Payne won a scholarship to study Natural Sciences at Newnham College, Cambridge University in 1919. At that time in England, a woman’s postgraduate career opportunities were limited to teaching. A brilliant student more interested in physics than natural sciences, she was advised by Professor Arthur Stanley Eddington to pursue graduate studies at Harvard College in the more liberal United States. After completing her studies at Cambridge, Payne became a doctoral student at Harvard in 1924. The rich store of astronomical records at the Harvard Observatory, and the presence of a community of astronomers, created a nirvana for Payne from which she would never leave. In 1925, a brisk two years after her arrival in the United States, she became the first student, male or female, to earn a Ph.D. from the Harvard College Observatory. Her doctoral thesis, “Stellar Atmospheres,” articulated her surprising discovery of the chemical homogeneity of the starry universe. 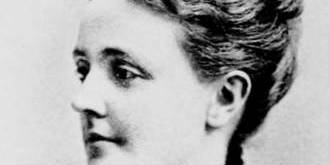 Prior to her work in the area, it had been believed that the chemical composition of stars was similar to that of the Earth. Seventy-five years after her scientific discoveries were first published, they are still valid. 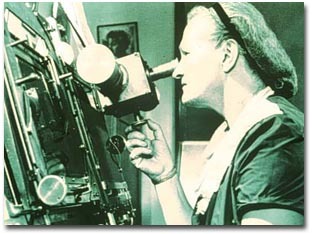 While the United States was more open to women astronomers than England, Payne-Gaposchkin was given a marginal position at the Harvard Observatory following the extraordinary success of her doctoral studies. An article about her in American National Biography notes that she “informally advised students and occasionally taught courses under the name of the observatory director, Harlow Shapley.” In 1930, she published her second book, Stars of High Luminosity , in which she attempted to provide an ordered account of observations of star behaviors. At one point, she considered leaving Harvard because of her low status and meager salary. Shapley, however, made efforts to improve her position, but it would not be until 1938 that she was made an official faculty member of Harvard University. Out of gratitude for the opportunities the United States had given her and out of the belief that a responsible adult in a community must be a voter, she became an American citizen in 1931. Cecilia Helena Payne, 1904. Courtesy of Katherine Haramundanis. In 1933 on a trip to Germany, she met the Russian astronomer Sergei Gaposchkin, whose political beliefs made him an exile of his native land and whose Russian nationality made him unwelcome in Hitler’s Germany. Payne convinced Shapley to give the Russian astronomer a position at Harvard, thereby securing his physical safety as well as his career. Two years later, they were married. 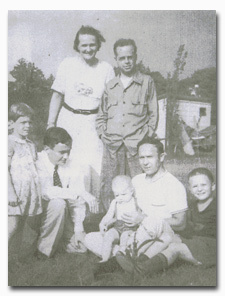 The Gaposchkins had three children, all of whom worked as astronomers for a period of time. Payne-Gaposchkin was a many-sided personality known for her wit, her literary knowledge, and for her personal friendships with individual stars. She became the first woman in the history of Harvard University to receive a corporation appointment with tenure, and the first woman department chair in 1956. After 1967, she was named Professor Emeritus of Harvard University. Her early education in Classical and English literature, greatly enriched her lifelong sense of inquiry and adventure. Davis, A.G., Philip Koopman, and Rebecca A. Koopman, eds. The Starry Universe: The Cecilia Payne-Gaposchkin Centenary. Haramundanis, Katherine, ed. 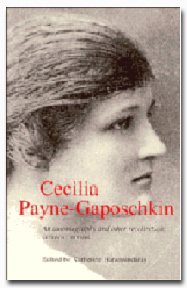 Cecilia Payne-Gaposchkin: An Autobiography and Other Recollections . New York: Cambridge University Press, 1984.